(Trumbull, CT, October 25, 2017) – An all-new and redesigned retailer education program has been announced by the Halloween & Party Expo for the 2018 event (January 12-15, 2018 at the Ernest Morial Convention Center in New Orleans). In the new format, attendees can learn from retailer panel discussions and retail roundtables led by Retail Minded’s Nicole Reyhle – with each experience designed to strengthen retailer operations and success. Additionally, joining Reyhle will be Retail Minded’s Jasmine Glasheen, a retail expert in generational marketing with a key focus on millennial consumers. The changes in the retail program from Halloween & Party Expo are in response to buyer feedback, and attendees can experience all education complimentary as part of their show registration. Founded in 2007 by Nicole Leinbach Reyhle, Retail Minded speaks directly to the hearts of independent retailers – delivering applicable solutions and news to support retailers both in and out of their stores. Retail Minded is a trusted resource for independent retailers and other small business owners, whose goal is to help support retailers with timely and relevant news, education and support specific to independent merchants. In addition, all retailers are invited to participate in four new open table discussions. These interactive roundtables cover the following frequently-requested topics and will welcome various industry thought leaders to join in the discussions, as well. This year’s Halloween & Party Expo will be co-located with HAuNTcon, the Haunted Attraction National Tradeshow and Conference. The co-location offers buyers an unrivaled one-stop access to the most comprehensive range of products and services to serve the needs of its customers, including Haunted Attractions, Costume Stores, Party Stores, Amusement & Theme Parks, Family Entertainment Centers, Grocers, Drug Stores and Gift Stores. The cross-over between industries sparked the idea – bringing the power of two industry leading global brands to share industry trends, offer innovative and relevant education, and provide a collaborative environment for networking and business exchanges. The HAuNTcon education program will be announced in November. Retail Minded is an internationally recognized industry blog and bi-annual publication that is committed to delivering quality news, education and support specific to independent retailers. 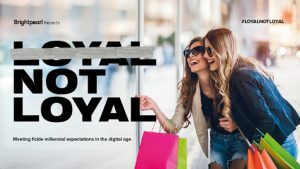 Founded in 2007 by retail thought leader and influencer Nicole Leinbach Reyhle, Retail Minded introduces retailers to leading industry resources, merchant specific news and timely education to help independent businesses thrive in their unique retail goals – both online and offline. 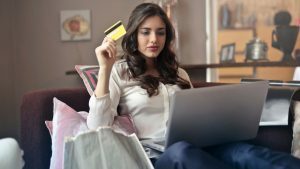 In addition to Retail Minded’s ongoing research and content development for independent retailers, Retail Minded also provides a free resource guide to merchants to help them connect and engage with industry leaders and service providers, as well as offers content services to various industry resources. 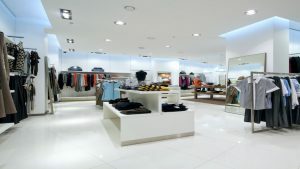 Learn more about Retail Minded at RetailMinded.com. Founded in 1995, Urban Expositions, now operating as Clarion UX and owned by Clarion Events, produces and manages a portfolio of 40 trade and consumer events, serving a range of industry sectors including Gift, Souvenir, Art, Aviation, Foodservice, Specialty Retail, Gaming, and Automotive. An additional focus on developing face-to-face events in a range of communities rooted in contemporary culture and shared passion is established through Clarion’s consumer event arm, LeftField Media, LLC. LeftField’s portfolio includes Play Fair (playfairny.com), a family-focused celebration of toys and play built with the Toy Industry Association; Rose City Comic Con (rosecitycomiccon.com), one of the largest fan conventions in the Northwest, spanning the worlds of comics, toys, games, cosplay, movies, and television; and The Classic Auto Show (theclassicautoshow.com), a classic and vintage auto show launched in Los Angeles.